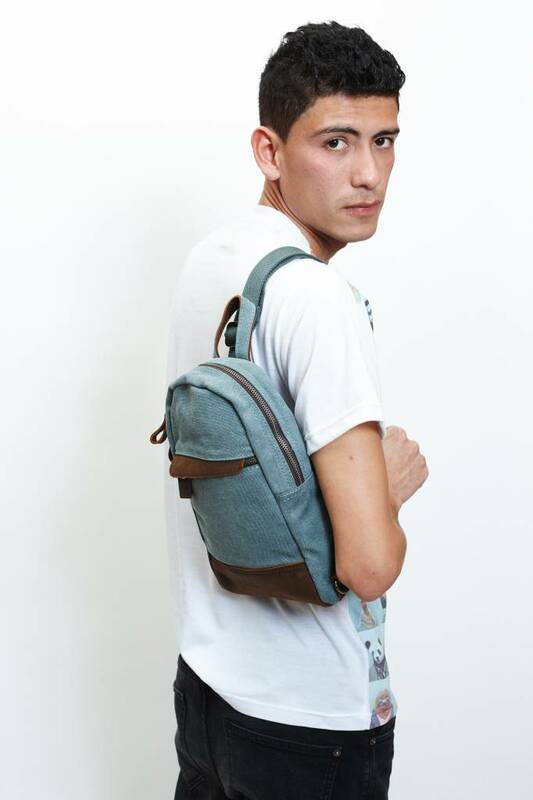 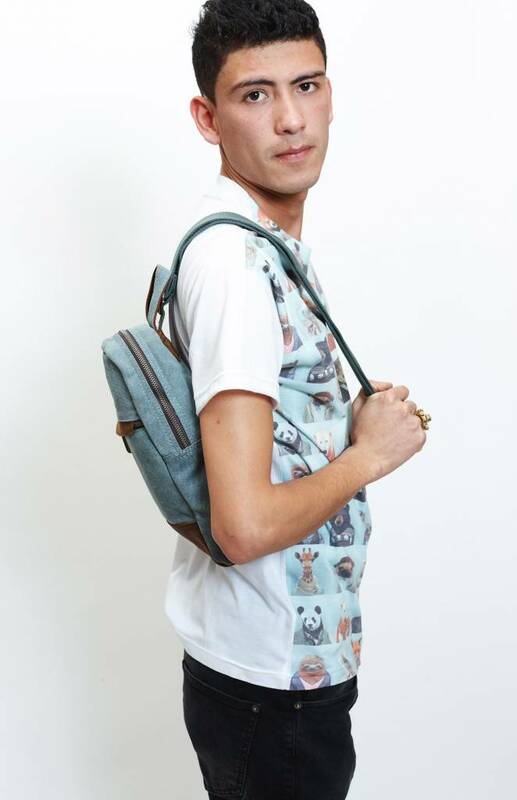 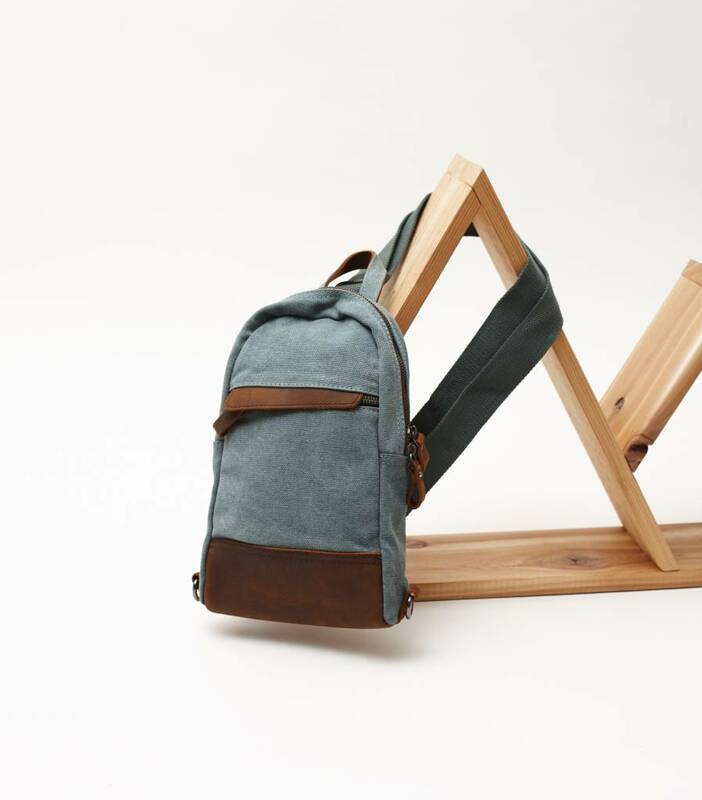 Migration's in-house collection of backpacks and handbags are made using thick canvas with leather accents. 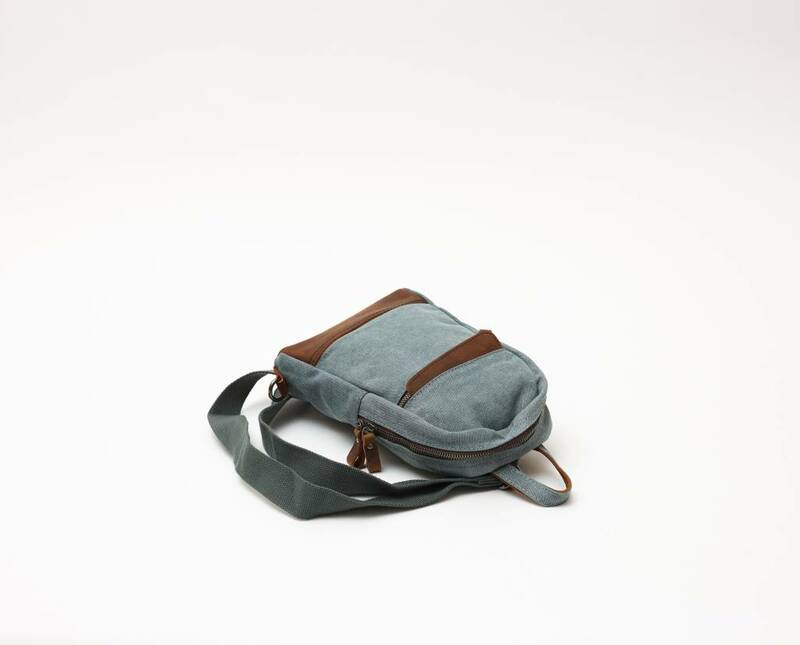 This single strap mini backpack is a perfect alternative to a handbag and is a must have for day trippers and world travellers. 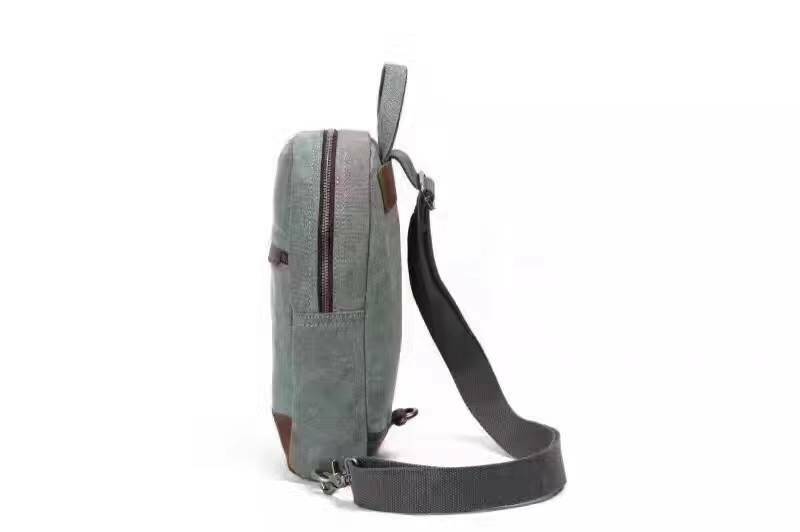 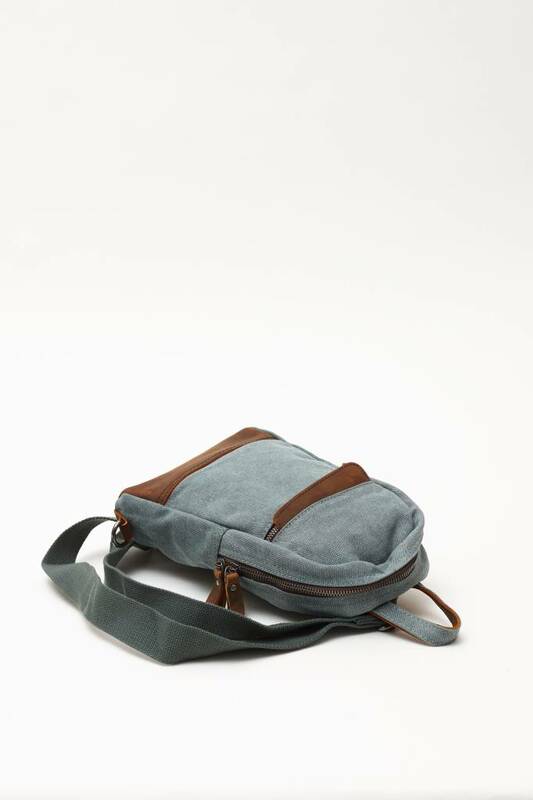 With a sturdy canvas body and comfortable carry strap, it is highly portable and convenient. 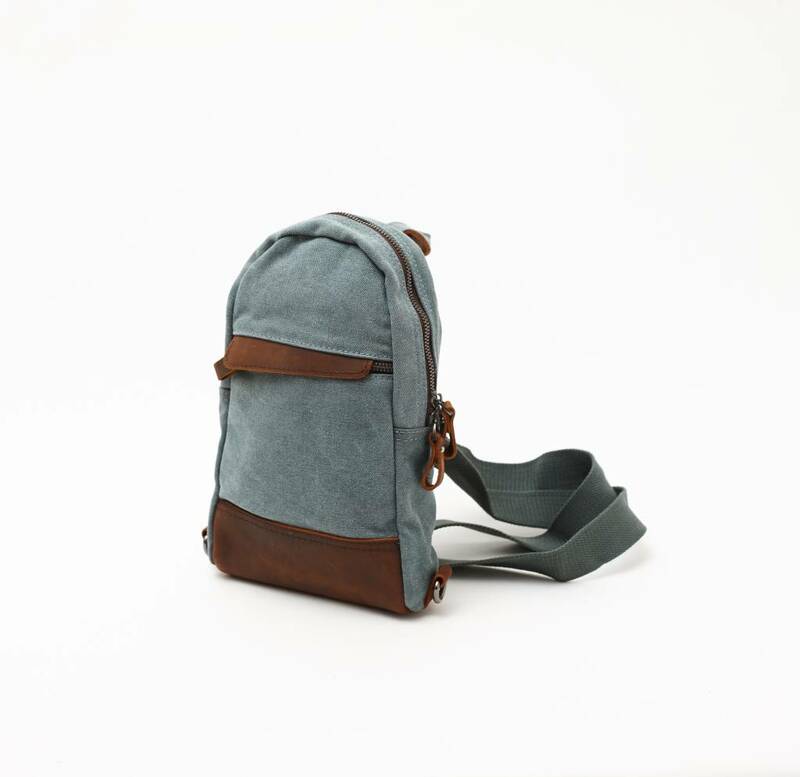 High impact areas are covered in buttery soft leather, while straps are secured with sturdy metal closures. 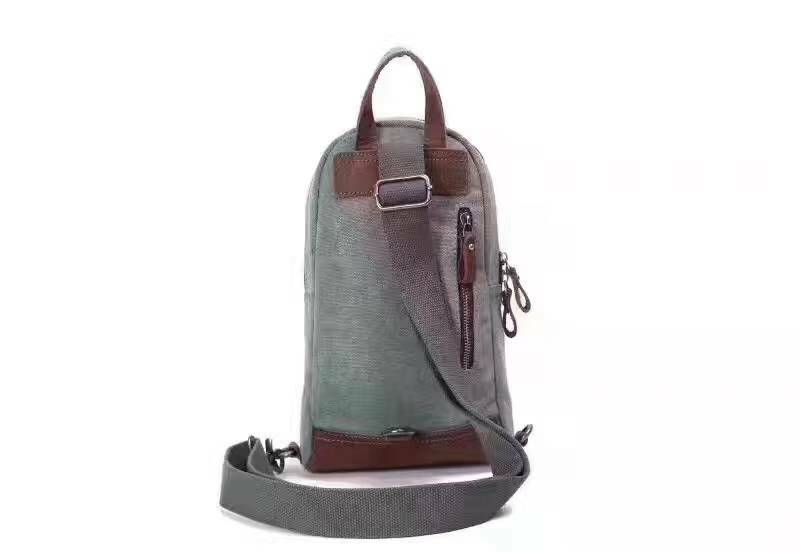 The adjustable strap can be attached to either side or middle hook, while a secret zipper pocket keeps your most valuable items secure.